WATCHTOWER CAFE is a coffee shop! A super geeky coffee shop! The full Your Cre8tivity gang interviews the owners, Mike & Cori! We discuss the genesis of Watchtower, the surprises and struggles, the incredible community support and even where the name came from. 3. What Conditions Are You The Most Creative? 5. Where Did The Name “Watchtower” Come From? 6. What Has Been The Biggest Suprise? 7. What Has Been The Biggest Struggle? 8. What Is Your Favorite Coffee Beverage? Salt Lake’s only comic book and gaming cafe. 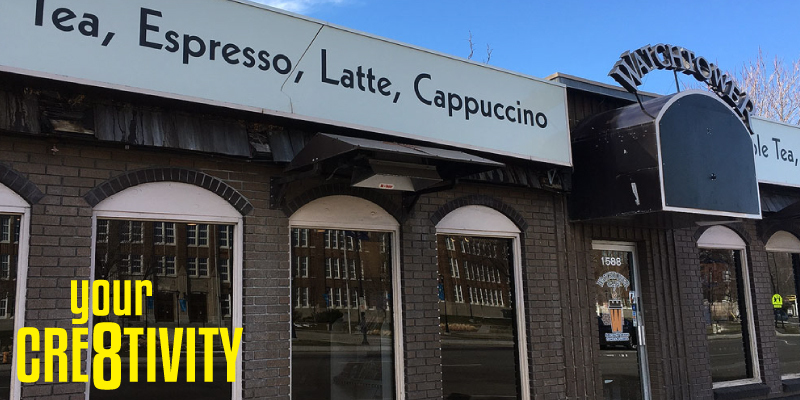 Amazing locally roasted coffee and espresso, boba teas and hand-crafted sodas, tea, hot chocolate, and the best-grilled cheese sandwich on Earth 616. Comic books, community board games, gaming tables, and plenty of space for private study, work, or meetings.